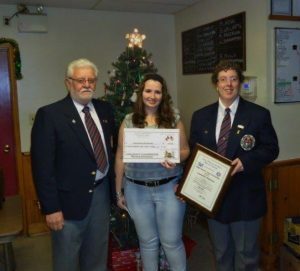 The 2013-2014 Judge Daniel F. Foley Memorial Scholarship Recipient was Cassandra Anderton, daughter of Phil Anderton of St. Mary’s Unit #265 in Ontario. Cassandra grew up in St. Mary’s and even at her young age has been actively involved in Veterans Associations being elected 5th Vice President of the St. Mary’s Unit 265 in 2012 and also as a member of Branch 344 of the Legion. She is thankful of her families influence in her involvement in Veterans Associations saying, “I have been so fortunate to converse with many Veterans and hear their stories. I grew up with a strong understanding of the sacrifices that have been made for our country’s freedom.” Cassandra graduated on the honour roll and as an Ontario Scholar from St. Mary’s DCVI and is currently studying at the University of Western Ontario majoring in Voice at the Faculty of Music. At the 2012 Dominion Convention, Jake Comer, President of ANAVICUS and the man who created and championed the creation of the Foley Memorial Scholarship was on hand to draw this year’s recipient. Tessa C. McLaughlin, whose grandfather, John McLaughlin is a member of Vernon Unit #5 was the lucky recipient of the $1500.00 USD scholarship. Tessa is currently studying as a third-year Biology major at the University of Victoria. She is particularly interested in animal biology and hopes to be accepted to medical school after graduating. She has worked as Day Captain- Youth Health Care Volunteer during her high school years, and volunteered in the Emergency Room at Vernon Jubilee Hospital. She has also worked as the summer arts program coordinator/teacher for the Vernon Community Arts Centre children’s art camps and most recently as the arts programmer for Easter Seals camp for children with disabilities. In her free time she love hiking, running and skiing as well as reading, painting and play her cello (She used to play in the Youth Symphony of the Okanagan). We wish Tessa much success in her future studies and hopes that the Foley Scholarship eases the financial burden of attaining her goals. ANAVETS is pleased to announce the 2011-2012 Daniel F. Foley Memorial scholarship recipient, Victoria ‘Brandy’ Hartley, granddaughter of Citadel Unit #373 member, Cecil Paris. Brandy is in the science program at Mount Saint Vincent where she is currently in her second year of majoring in biology and minoring in chemistry. Mount Saint Vincent is a small university just outside of downtown Halifax where eighty percent of the students are female. Brandy is planning on completing a master’s degree as well, after her undergraduate degree, though she is not sure which specialty she wishes to complete nor what profession she eventually wants after university. Pictured: Lawrence Sinclair, President of Nova Scotia Command along with Citadel \Unit #373 president, Ted Symonds present Victoria Hartley with her cheque and plaque on behalf of Dominion President, Neil McKinnon and ANAVICUS President, Jake Comer. We are please to congratulate the 2010-2011 recipient of the Foley Memorial Scholarship, Nathan Anderson the proud grandson of the late Bud Swinn of Rockwood Unit #303. Nathan spent a year at university and then as he didn’t feel that he knew exactly what he wanted to do in life he decided to take a year off and travel to Australia. After many wonderful adventures including white-water rafting, camping, scuba diving, and sailing, he discovered my passion for adventure and the outdoors. He returned to Canada and is now attending the Outdoor Adventure Program offered by Algonquin College. The program is two years long, and provides extensive hands on training as well as academic classes. Along with the physical skills, the program offers an excellent leadership and business component. Says Nathan on his grandfather, “My grandfather, William Edmund “Bud” Swinn, was heavily involved with Rockwood ANAVETS Unit #303, serving in several executive positions. My grandfather was a great man, and my personal hero. I have his Commission from King George the Sixth hanging on my bedroom wall. During my visits, he would tell me about his war experiences, cook me amazing food (which my mother always credited to his years in the service) and teach me how to play crib. I am proud of his service record, and proud of his accomplishments. I miss him greatly. Pictured: Tom Peresluka, President of Rockwood Unit #303 along with Dominion Vice President, Ron Smith present Nathan Anderson with his scholarship cheque. The 2009-2010 academic year recipient of the Judge Daniel F. Foley scholarship is Adam Raikes of London, Ontario. Adam is the grandson of London Unit #393 member, the late Kenneth Campbell. Adam is currently registered in the History Program at King’s University College. He is planning on majoring in Political Science and History. He has not decided on a specific career path but would like to see himself participating in politics where he can help shape the Canada of tomorrow. Pictured from left: Presenting the Judge Daniel F. Foley Memorial Scholarship, Jim Eaton, President of Saskatoon unit #38, Casey Barnett and Saskatoon Command Vice President, Charlie Smith. It is with immense pleasure that we announce that the first recipient of the Judge Daniel F. Foley Memorial Scholarship for the year 2007 was Christopher Searl of Eastern Passage, NS. Chris is currently attending his first year of studies at Kings College in Halifax, NS and has aspirations of becoming a sports journalist. Chris is the son of Stuart Searl, Petty Officer 1st Class with the Canadian Navy and Lillian (Missy) Searl and he is the grandson to Citadel Unit #373 President, Ted Symonds. 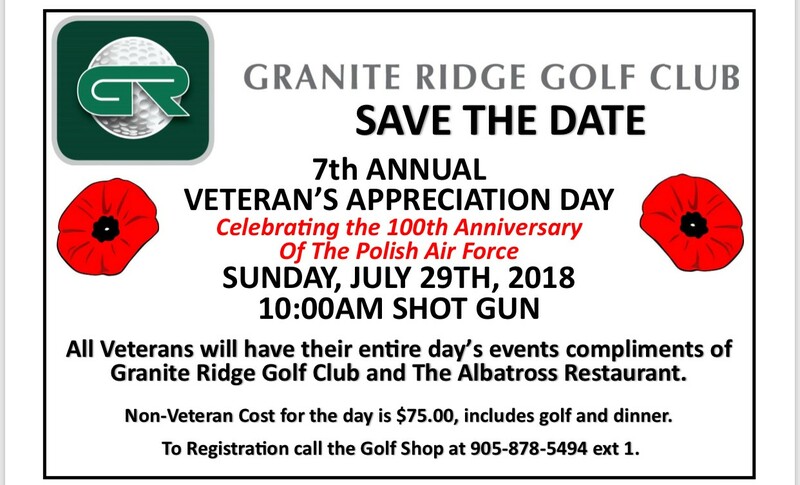 In the memory of our dear Comrade Judge Daniel F. Foley, the Dominion President, executive and all the members of the Army, Navy & Air Force Veterans in Canada are proud to congratulate this wonderful young Canadian on all of his accomplishments and are happy that we are able to help him in his quest to fulfill his dreams. “I feel very privileged that people have faith and trust in me by offering me these amazing educational gifts,” states Searl.